The Lighting Controls Association is pleased to announce that EE301: Wireless RF Lighting Control has been added to the Association’s popular online Education Express distance education courses. 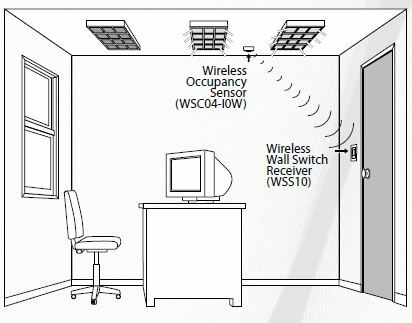 Radio-frequency (RF) wireless communication is a significant emerging lighting control technology in both residential and commercial building applications. In a typical hardwired lighting control system, control signals are sent using communication wires. In a wireless system, control devices communicate through the air using radio-frequency RF waves without the need for control wiring. The resulting advantages enable advanced lighting control with greater installation flexibility and lower labor installation cost, ideal for hard-to-wire applications non-accessible ceilings, hard ceilings, asbestos abasement issues, and brick and mortar existing buildings. EE301: Wireless RF Lighting Control, written by LCA Education Director Craig DiLouie, provides a basic understanding of wireless RF control, including functionality, benefits, power, networking, protocols, range, programming and integration issues. An optional online comprehension test is available at the end of the course, with automatic grading; a passing grade enables the student to claim education credit. EE301: Wireless RF Lighting Control is registered with the National Council on Quality in the Lighting Professions (NCQLP), which recognizes a total of 2.0 LEUs towards maintenance of Lighting Certified (LC) certification.